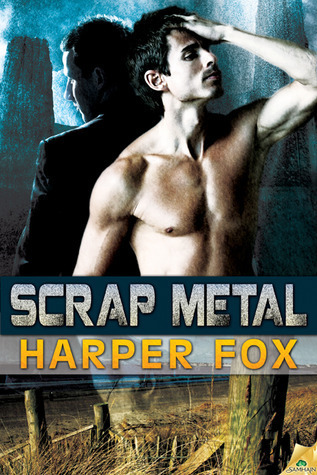 Scrap Metal is a gritty, tough novel that deals with just about every emotion you can conjure: love, loss, anger, lust, betrayal, hope, redemption…I could go on and on. But beyond the emotion is a really (really) beautiful story, set in the Scottish highlands and rich with imagery and depth. The book starts with one of the slowest slow burns I’ve read in a LONG time. MC Nichol is so blinded with grief over the loss of two family members that he’s living in a world devoid of any emotion. Existing in a trance, he’s been forced to abandon his university studies and come home to work his family’s sheep farm. Glamorous, right? When MC Cam shows up at the farm under sketchy circumstances, Nichol opts to give Cam a chance to start over, no questions asked. There are questions, though. Why has Cam taken shelter in the middle of the Scottish highlands on this remote farm? What’s he running from? Who is he running from? Is he dangerous? But that’s what Scrap Metal (and Nichol and Cam) is all about, really: finding out who you are, coming to terms with your circumstances and reconciling with yourself so that you can begin to welcome others into your life. There was an always-present sense of foreboding in the novel, which is what I love about Fox’s writing style, actually. She draws just the right amount of angst to move things along, without making the story so tense that you want to abandon your reading experience altogether. Even in the happiest times of the book, I knew something bad was coming, and I knew it was going to hurt. It was how and when those things happened that got me in the end, and like I said, that’s what made this such a great reading experience. The secondary characters in Scrap Metal are superstars worth mentioning because they fit so seamlessly without ever distracting me from what was going on with the MCs. I loved Harry, Nichol’s “granda,” and I also adored Archie, Shona and the rest of the townsfolk. When I read Harper Fox, I have this overwhelming sense of calm. Her books take me away in the best possible ways. If you haven’t had a chance to read Scrap Metal, pick up a copy and push it straight to the top of your list. This is one of my all-time favorites. The combination of the characters, the gorgeous language, the slow burn and the plot twist just makes it hit the spot. One of my favourite Harper Fox books! This entry was posted on November 11, 2014 by Jenni in Contemporary, Cops / Cowboys / Military, Mystery / Suspense, Reviewer: Jenni and tagged 4 Stars, angst, harper fox, mystery, samhain publishing.